Shipping Instructions: All items are shipped insured by UPS, FEDEX or US MAIL. Cost depends on the value of the package. Shipments per package to USA addresses are $12-$65. Outside the USA the cost is $36-$125 per package. Checkout Date & Times: Most items are shipped 5-10 business after cleared payment is received. The following, as amended by any posted notices or announcements during the sale, constitutes the entire terms and conditions on which property listed in the catalogue shall be offered for sale or sold by AuctionBarn Estates Inc BY REGISTERING TO BID, YOU ARE OPTING IN TO OUR EMAIL MAILING LIST. PLEASE READ THIS ENTIRE AGREEMENT. TERMS AND CONDITIONS OF SALE 1. All items are sold AS IS, WHERE IS with all faults. ALL SALES ARE FINAL - NO REFUNDS AND NO EXCHANGES. All items are available for inquiries prior to bidding. Written and oral descriptions are our opinions and should in no way be construed as a guarantee of any kind as to authenticity, age, condition, materials or any other feature of items being sold. AuctionBarn attempts to catalog every lot correctly and will attempt to point out any defects but will not be responsible or liable for the correctness of the catalog or other descriptions of the lot. We recommend prospective bidders examine all items in which they have an interest. By placing a bid, either in person, by phone, absentee or via the Internet, you signify that you have examined the items as fully as you desire to or that you have chosen not to examine them. If you require absolute certainty in all areas of authenticity, and the results of your evaluation leave uncertainty in your mind, we recommend you have an expert examine the lot for you or do not bid on the item in question. 2. All property is sold AS IS, WHERE IS and neither AuctionBarn nor the consignor makes any warranties or representations of any kind or nature with respect to property or its value, and in no event shall be responsible for the correctness of description, genuineness, attribution, provenance, authenticity, authorship, completeness, condition of property or estimate of value. No statement (oral or written) in this catalog, at the sale, or elsewhere shall be deemed such a warranty or representation, or any assumption of responsibility. All measurements are approximate. 3. Payment is expected immediately following the end of the auction, at the latest three days after the auction. If you cannot make the payment by that time, you must contact us to make other arrangements. The successful bidder is the highest bidder acknowledged by the auctioneer. In the event of any dispute between bidders, or in the event of doubt on AuctionBarn's part as to the validity of any bid, the auctioneer will have the final discretion either to determine the successful bidder or to re-offer and resell the article in dispute. If any dispute arises after the sale, AuctionBarn's sale record is conclusive. 4. The purchaser assumes full responsibility for items at the fall of the hammer. 5. There is a buyer's premium of 22% added to the Hammer price in this auction. 6. For all items shipped to a California address, 9.50% sales tax will be added to your invoice. 7. PAYMENT: We accept bank wire transfers, personal or company check, cashier's check, money order, Visa, MasterCard, Discover and American Express. We also accept PayPal payments. For items purchased online, you will be emailed an invoice after the auction ends. This email provides a link that allows you to pay immediately and securely online. It is your responsibility to contact us at 818-481-3042 or email us at auctionbarn.estates@gmail.com if you are unable to pay through our online check-out system within three days. If paying by check, money order, or cashier's check, AuctionBarn reserves the right to hold all purchases until the check has cleared to the satisfaction of AuctionBarn and its bank. If we are prevented by fire, theft, or any other reason whatsoever from delivering any property to the purchaser, our liability shall be limited to the sum actually paid, by the purchaser for such property. 6. Refunds may be given in the event of a discrepancy. 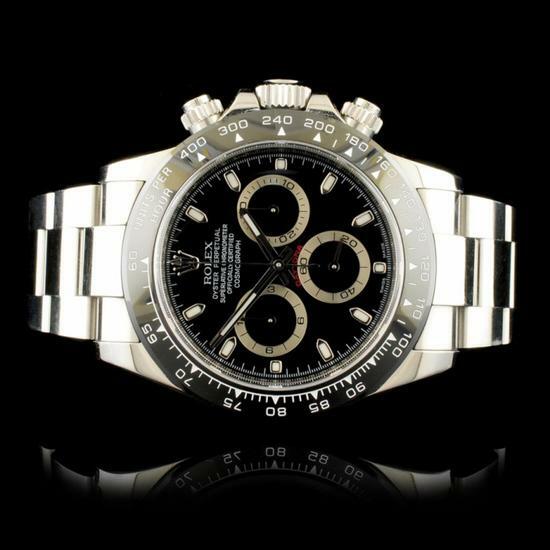 Be assured, all items are covered by our money back guarantee, buyers have thirty days from the date that they receive their item(s) to return them at our expense if they are found to have been incorrectly described, we require a written certification from a specialist that shows the discrepancy. This guarantee does not apply to the dollar appraisal amount shown. 7. AuctionBarn reserves the right to withdraw any lot at any time before, during, or after the auction without liability. 8. The auctioneer reserves the right to reject any bid at any time and as his sole discretion. 9. A range of estimates is given on each lot with a low and a high estimate. Estimates should not be relied on as a prediction of the actual selling or resale price. 10. On the fall of the auctioneer's hammer, ownership of the offered lot will pass to the highest bidder acknowledged by the auctioneer, subject to fulfillment by such bidder, of all the conditions set forth herein, and such bidder thereupon a) assumes full risk and responsibility thereof, but not limited to, insurance, fire, theft, removal and storage or damage from any and all causes, and b) will pay the full purchase price thereof or such part as we may require. In addition to other remedies available to us by law, we reserve the right to impose a late charge of 1 1/2% per month of the total purchase price if payment is not made in accordance with the conditions set forth herein. REGARDING ANY PURCHASER WHO IS REPRESENTED BY A BIDDER: BIDDERS ARE PERSONALLY AND INDIVIDUALLY RESPONSIBLE FOR ANY OBLIGATIONS OF THE PURCHASER SET FORTH IN THE TERMS AND CONDITIONS OF SALE. If any applicable conditions herein are not complied with by the purchaser, in addition to other remedies available to us and the Consigner by law, including, without limitation, the right to hold the purchaser liable for the total purchase price, we at our option may either, a) cancel the sale, retaining as liquidated damages all payments made by the purchaser, or b) resell the property at public auction without reserve, and the purchaser will be liable for any deficiency costs including handling charges, the expenses of both sales, our commissions on both sales at our regular rates, reasonable attorney's fees, incidental damages, and all other charges due hereunder. In the event that such a buyer pays a portion of the purchase price for any or all lots purchased, AuctionBarn shall apply the payment received to such lot or lots that AuctionBarn, in its sole discretion deems appropriate. In the case of default, purchaser shall be liable for legal fees and expenses. In addition, a defaulting purchaser will be deemed to have granted us a security interest in, and we may retain as collateral security for such purchaser's obligations to us, any property in our possession owned by such purchaser. 11. In the unlikely event we lose our internet connection, AuctionBarn reserves the right in its sole and absolute discretion to cancel the remainder of the auction. 12. **Auctioneer has final discretion on sale of an item. His word is final. ** 13. Unless the sale is advertised and announced as "without reserve", each lot is offered subject to a reserve and the Company may implement such reserves by bidding through its representatives on behalf of the Consignors. In certain instances, the Consignor may pay less than the standard commission rate where the Company or its representative is a successful bidder on behalf of the Consignor. Where the Consignor is indebted to the Company, the Company may have an interest in the offered lots and the proceeds there from other than the broker's Commissions, and all sales are subject to any such interest. **IMPORTANT - PLEASE READ*** AS YOU HAVE ACKNOWLEDGED BY AGREEING TO THE TERMS OF THIS AUCTION, THERE ARE NO REFUNDS OR EXCHANGES unless you obtain and submit a written evaluation showing a discrepancy from an Expert or Specialist in the field. For this auction we may (at our discretion) combine multiple purchases to reduce shipping charges, all lots will have a separate handling charge. Our insurance company does not allow pick-up of your items, all items must be shipped. Will Call of items is not allowed. Coming to our offices to view items is not allowed at this time. ***INSURANCE IS INCLUDED IN ABOVE PRICES*** ***IMPORTANT*** - Should expedited shipping be requested, additional fees will apply. - We reserve the right to adjust shipping charges. - Substantial Additional fees apply when shipping Internationally. - All items are shipped insured. Please be sure that you understand our shipping policies prior to bidding. If you are unclear, please contact us at auctionbarn.estates@gmail.com for clarification. If you are still unsure, please enjoy the auction however, please do not bid. IMPORTANT Notices & Disclaimers - Please Read Regarding Appraised Jewelry and Loose Stones - AuctionBarn sends them out to a third party for Retail Replacement Value Appraisals, which are the most common. These types of evaluations are written for insurance needs. This would be the cost to replace the jewelry with an item of equal quality and kind, considered to be the current market price or the replacement value. This type of appraisal is done to protect you in the event of damage or loss of a valuable item. Our appraisals are conducted by independent 3rd Party appraisal firms that utilizes Certified GIA Gemologist. Appraisals should be used for verification of gemstone and/or metal weight, size, and grade only, not actual value. Appraisal value should be considered for insurance purposes only, not actual value, as price varies greatly from retail locations thru out the world. Items should not be purchased with the expectation to resell for appraisal price, or for profit.